He asked me so very politely (seriously, so polite) if I would be interested in making him a Pineapple Upside Down cake for his last day. How can you say no to such a request? I had never made a pineapple upside down cake before, and I can’t for the life of me figure out why. It was super easy, and it looks so cool when it’s done. The proof of the pudding is in the taste, as they say (and yes, that is the CORRECT phrase thankyouverymuch), so I am looking forward to trying this tomorrow. But I am sad that Matthew will be leaving. He really made our office fun for the last few months. Which is a feat. Bon voyage, Minty (and wife Jennifer). Our loss is Chicago’s gain. Best of luck in your exciting future endeavors! You’ve got to be careful with blog titles. I thought you were packing it in. Glad to hear it’s just your colleague who is leaving, and that you and Wendalicious will still be with us. 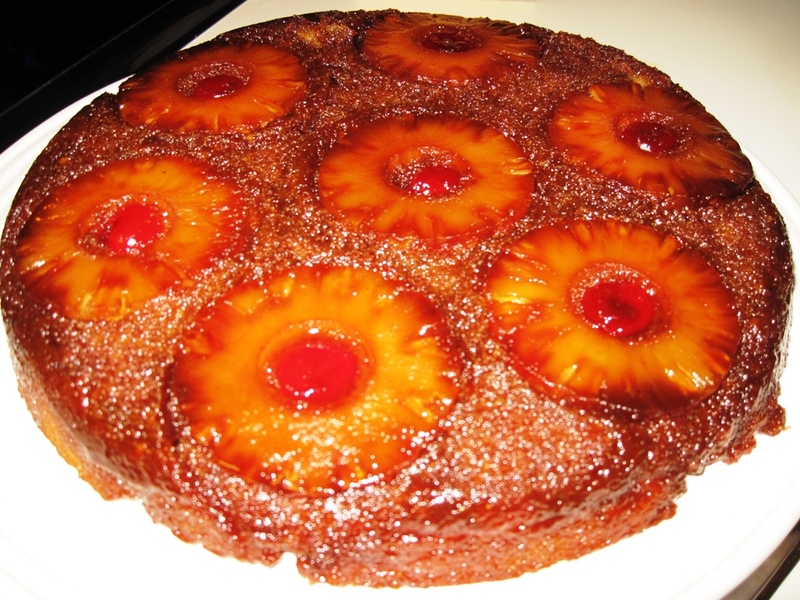 I can’t think of pineapple upside down cake without recalling The Jetsons. Guess who watched far too much television as part of their misspent youth? And I don’t recall the Jetsons reference…I am pretty sure I watched it. Hmm. Before anyone cast aspersions, I want to make it clear that I was *told* to request a cake by another colleague. 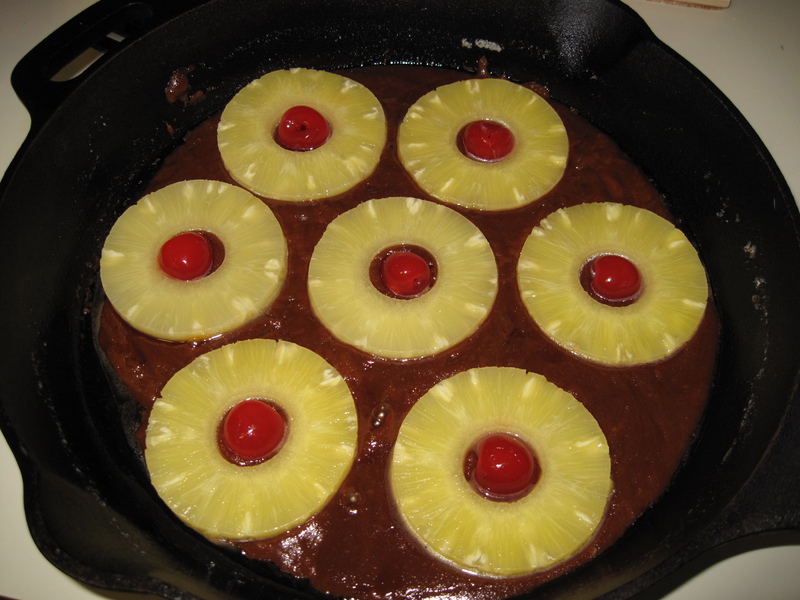 And then, when I mentioned pineapple upside-down cake, I was told that such cakes are Wendy’s problem. It’s not like I’m some kind of honey badger, walking around and telling people to make me some cake, dammit. Those duties are handled in another department. I’m not moving, but if I show some teeth and demand some cake will you make me one of those too? Pretty please? Honey Badger don’t say please. Pingback: How To Make Pineapple Upside-Down Cake IV | Cake Recipes Made Easy. Aw we’ll miss them too!